You may think a cat named Dakota is from one of our northern states, but this Dakota may have relatives from further away--Siberia. He has the look, size and personality of one of the oldest cat breeds in the world, the Siberian, which goes back at least 1,000 years and is the National Cat of Russia. Typical of the breed, he has large, round green eyes and a quiet mellow personality. His fur is long and thick as you would expect, and pokes out between his toes like snowshoes. Given his ultra-warm fur and the fact that he is front-paw declawed, he must have a home where he can stay inside and not be exposed to the Texas heat and other dangers. Male Siberians can weigh up to 25 pounds, which Dakota does not, at least not yet, but he's a lapful. 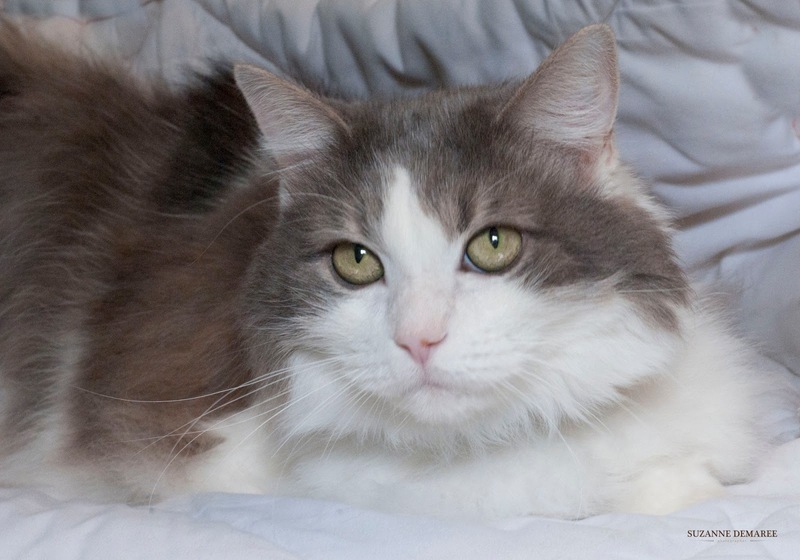 He's between two and three years old, and a gentle giant with a quiet, mellow personality. He's neutered and up-to-date with his vaccinations, and waiting to go home with you and warm your heart. Come see him at the Humane Society today.